The Apple iPhone 8 is the successor to the Apple iPhone 7 – sticking to the same form factor, but introducing upgrades on the hardware front, including camera improvements, a screen featuring Apple’s True Tone technology, and a new, faster Apple A11 Bionic system chip. The addition of wireless charging has made it necessary to replace the metal housing with a glass back and a metal frame on the sides. As before, the Apple iPhone 8 is water resistant and delivers stereo sound. iOS 11 runs on it out of the box, introducing augmented reality applications, a redesigned App Store, a new Control Center layout, and a number of UI refinements. 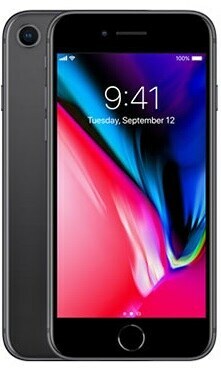 See Apple iPhone 8 Specifications, Features & Price in USD below.